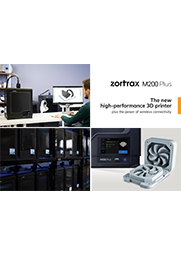 New for 2018, the M200 Plus 3D printer builds on the incredible specification and performance of the M200 with hardware upgrades and support for Zortrax’ latest-generation performance filaments. New for this model, a built-in touchscreen interface and Wi-Fi connectivity so you can remotely manage your prints anywhere with an internet connection. The build chamber has a webcam too, so you can monitor print progress in real-time. 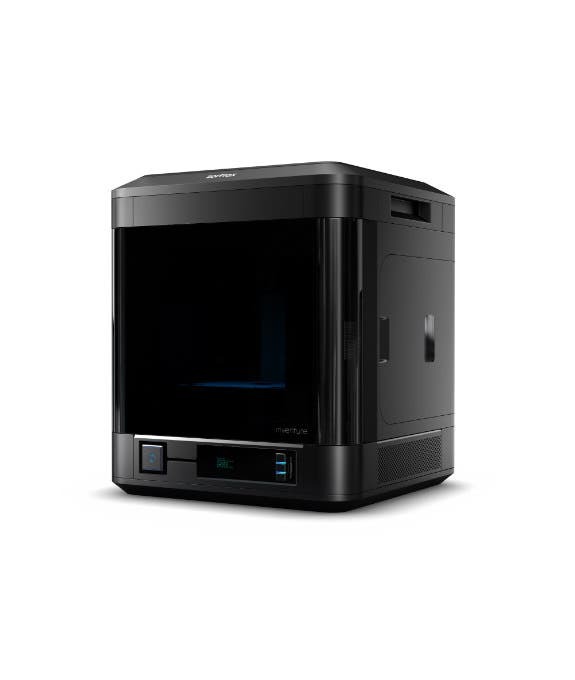 Offering a 200 x 200 x 180 mm (7.87 x 7.87 x 7.09 in) build volume and industrial-grade mechatronics, the M200 Plus is a desktop-class 3D printer fit for engineers, professionals and keen hobbyists alike. A print resolution of 90 - 400 microns (0.09mm - 0.4mm) means you can print detailed models or basic models at great speed. The biggest upgrade the M200 Plus has over its predecessor is an upgraded extruder and hot-end. The new, improved extruder system is even more reliable and is designed to support Zortrax’ latest-generation performance filaments, including Z-SEMIFLEX, a semi-flexible thermoplastic with an extremely high resistance to abrasion and warping. The M200 Plus also features material end detection for excellent uptime. This feature detects when filament is running low and alerts you, so you can change it. With support for Z-ABS, Z-ULTRAT, Z-HIPS, Z-GLASS, Z-PETG and Z-SEMIFLEX, the M200 Plus is suited to a wide range of applications.